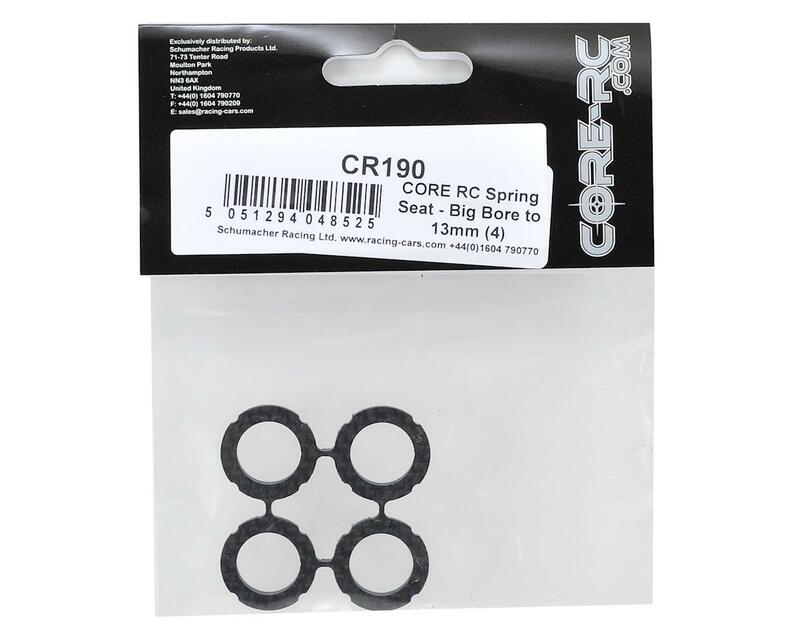 This is a pack of four optional Core-RC Big Bore Shock Spring Seats. 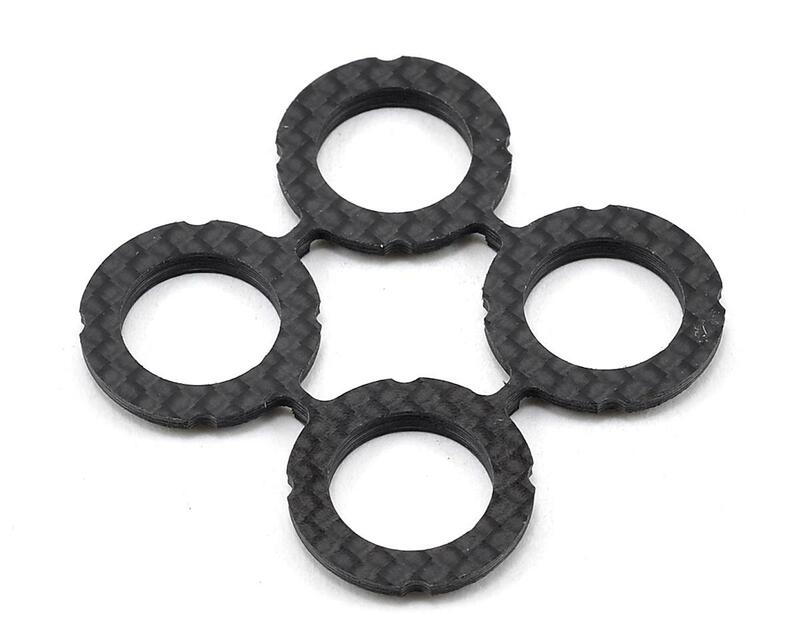 These special carbon fiber spring seats enable the use of the Core-RC Big Bore Springs on smaller 13mm shocks. Just slide the seat on the shock body and you're ready to use big bore springs.